According to new research published in JAMA Psychiatry comparing two studies, similar in design, conducted in 2001–2002 and 2012–2013, the rate of marijuana use by adults in the U.S. has more than doubled. 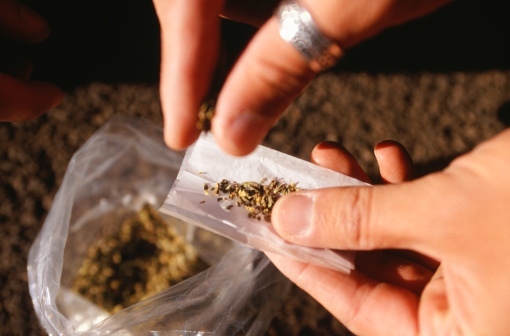 Additionally, while usage rates have increased from 4.1% to 9.5%, disorders related to marijuana use, such as dependence or drug abuse as defined by the Diagnostic and Statistical Manual of Mental Disorders (Fourth Edition), has increased nearly 50%, rising from a past-year 1.5% increase in prevalence rate in 2001 to 2.9% in 2013. The study defined marijuana use as any form of marijuana consumption (e.g., ingestion or smoking) within a year prior to each study. While the increase in prevalence was observed across most demographics, researchers note the increases were most evident among four groups: African Americans (from 4.7% in 2001 to 12.7% in 2013), Hispanics (3.3% to 8.4%), women (up from 2.6% to 6.9%), and older people (an increase from 0.04% to 1.3%). In terms of marijuana use disorders, while the one-year increase in prevalence rate nearly doubled from 2001 to 2013, the prevalence among marijuana users dropped a little more than 15%, declining from 35.6% in 2001 to 30.6% in 2013. Despite this decline in disorders among users, the authors warn that the 30.6% prevalence of marijuana use disorders among users still proves that while the number of users grows, so too will the number of those diagnosed with use disorders. For example, while approximately 29,925,000 Americans used marijuana in 2013, 30%—8,977,500 people—had a use disorder; if we assume the number of users will double again in the 12 years after 2013, that would mean that by 2025, approximately 59,850,000 Americans would be users and 17,955,000 would have a use disorder—double the number in 2013. Of course, these numbers are entirely subjective projections that don’t take the changing attitudes and laws toward the use of marijuana into consideration. Currently, 23 states have legalized medical marijuana and four states have legalized recreational use. As is expected, states with laws approving medical or recreational use of the drug have a higher use prevalence compared to those that restrict or criminalize marijuana. Besides addiction, the authors note that increased risks associated with the use of marijuana also include vehicle crashes, psychiatric and mental health symptoms or illnesses, poor quality of life, cognitive decline, emergency department visits, and increased likelihood of the use and abuse of other drugs. Davis, M., “Marijuana Use, Disorders Double in US Adults,” Medscape web site, October 23, 2015; http://www.medscape.com/viewarticle/853145?nlid=89763_3681&src=wnl_edit_dail&uac=247315HK&impID=867390&faf=1. Hasin, D.S., et al., “Prevalence of Marijuana Use Disorders in the United States Between 2001-2002 and 2012-2013,” JAMA Psychiatry October 21, 2015, doi: 10.1001/jamapsychiatry.2015.1858, http://archpsyc.jamanetwork.com/article.aspx?articleid=2464591.